Though I have no trouble believing that Jesus was an actual historical person, I know that some are inclined to disbelieve in Jesus simply because of all the amazing things the Bible says about him. 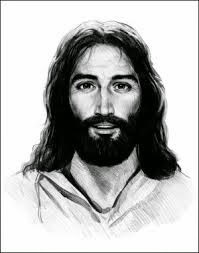 For those who need some form of proof outside the pages of the biblical text, I am glad to be able to state that evidence can be found to point to a historical person named Jesus from the same time period and location as that presented in the pages of the gospel accounts. Tacitus was a Roman senator who was one of the best Roman historians. He lived from around 55 to 118 a.d. His final writing before his death entitled "Annals" included a biography of Emperor Nero who was suspected of burning a part of Rome and shifting the blame to Christians. In writing about this incident Tacitus, who despised Christians, wrote briefly about their founder "Christus" who had been executed by the procurator Pontius Pilate during the reign of Tiberius. This brief statement inadvertently confirms the New Testament on certain details about Christ's death. Josephus started out as a Jewish priest but wound up in Rome during the reign of Vespasian. He wrote about the Jewish war against Rome and also wrote a work on Jewish Antiquities. Both histories were written in Greek. His Antiquities mentioned Jesus twice. One account mentioned Jesus as the brother of James and wrote, "Jesus, who is called Messiah" in order to identify which James he was writing about. A second mention about Jesus is a paragraph describing him as a "wise man" and telling about his death by crucifixion and the large group of followers who had not died out at the time of that writing. Pliny the Younger was a Roman governor who wrote derisively about people who worshiped Christ as though they were worshiping a god. Lucian was a Greek writer of satire including a work called "The Passing of Peregrinus." In that work he referred indirectly to Jesus by calling him, "that crucified sophist". Celsus was a philosopher who considered Jesus to be a magician. We have five examples of historical writers who mentioned Jesus in one way or another, thus confirming that such a man existed in history. None of these writers were Christians. In fact, some of them were very derisive in what they wrote about Jesus or his followers. Still, this collection of writings confirms quite a list of details from the biblical accounts. These extra-biblical writers may not confirm that Jesus is who he claimed to be in the gospels, but they help to eliminate the supposition that Jesus never lived. While the Bible is sufficient proof about Jesus Christ for me, it is reassuring to also point to the other proofs outside the Bible that Jesus was an actual historical person living during the first century. 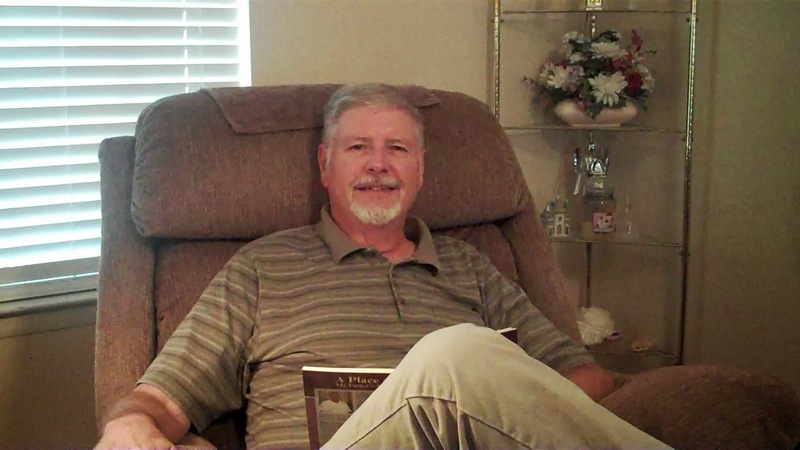 When I was ordained into the ministry, I began the process of collecting books of all kinds that are commonly used by preachers in preparation of sermons, lessons and Bible studies. Now, some 43 years later I have amassed quite a collection of ministry related books, magazines, and lesson materials. Though I haven't counted the individual books in my library, I have nearly 140 linear feet of shelf space in my office for books and an additional 50 linear feet in bookshelves at home. That's a pretty good collection of books, and it represents years of ministry related expenses probably representing thousands of dollars in purchases. Now that I am nearing the end of my time in pastoral ministry, I am becoming increasingly aware of changes in attitudes among ministers about maintaining large libraries of books. My younger cohorts at our church tend to cull their shelves of books on a regular basis. Occasionally, they give some of them to me, and I appreciate that gesture, but I also wonder why it is that the love I have for paper books doesn't seem to be shared by some younger ministers. Naturally, I am aware that these days books are available in electronic formats on various brands of e-readers. I have my own first generation iPad with 5 different electronic readers loaded on it. I also have dozens of books not taking up shelf space anywhere. Furthermore, I've noticed that electronic books are cheaper than buying paper versions of the same book. But on the other hand, it is not as easy to loan out an electronic book purchased on line unless you share a certain brand of reader with another family member. More recently, I've heard sad stories of retired ministers who can't give away their books to anyone and are forced to throw them away or donate them to charities. While I don't mind others inheriting my books, I admit to a sad realization that others may not be so likely to place the same value on my books that I have had over the years. Especially, the books I collected over 40 years ago are now looked upon in some literary circles as dated and out of touch with ministry issues of today. So, what should I do? My wife has already warned me not to even consider bringing all those books home to take up space in our house. I must come up with a different plan than turning rooms in our home into storage shelves for old books. So then, what about this idea? In our church we have a couple of boys who aspire to enter the ministry. One of them is a junior in Bible college, and the other one will soon go to another preacher training school from which I graduated so long ago. I have asked the boy's parents If I could begin donating my books, a box at a time, to these boys so they can start out with ministry libraries of books I have found useful through the years. Thinking back to my Bible college training days, I know I would have been thrilled with such literary largesse. I love to read, and I plan to keep reading as long as my eyes can make out the words on the page. I remember hearing John Maxwell say, "Five years from now, You'll be the same as you are now except for the people you meet and the books you read." 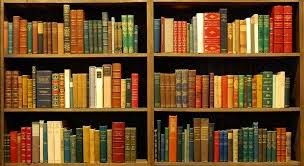 I plan to enrich my life on both counts and to do all I can to share my library with others who can see the treasure between the covers and reap the benefits of reading excellent and timeless books. The Gospel of Mark has nothing at all about the birth of Jesus. 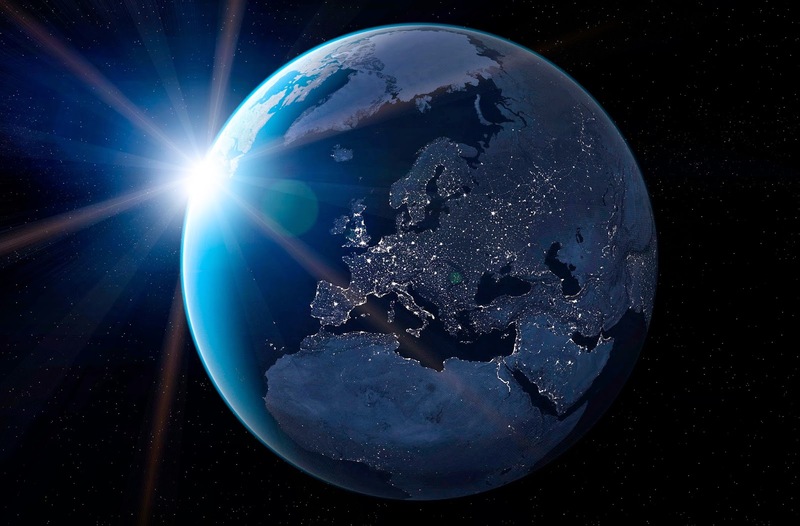 The Gospel of John describes the birth in symbol—“word” and “light” entering the world. Luke’s Gospel has the story of the angels and the shepherds. But only Matthew writes about the Magi and the star. Several questions arise from Matthew’s record: 1) Where were the wise men from? 2) How could they know that the star meant a king was born? 3) What was the star? 4) When did the star appear? The word “Magos” (singular of “Magi”) comes from an Iranian word for “great one.” Magi were an upper caste in the Middle East—both Persia and Babylonia—for many centuries. They were the scholars who studied the stars and struggled to discern how events in the heavens might impact the earth. But they were not the first who saw the star of Christmas. Chinese star-gazers saw it first. For millennia the Chinese had kept close watch on comets and other heavenly phenomena. According to ancient Chinese records a spectacular comet with a very long tail appeared in 5 BC and was visible to them for over 70 days. This comet is the only celestial phenomenon recorded between the period 20 BC and AD 10, according to ancient Chinese records. This comet fits uniquely with the birth of Christ, because Luke 2:2 reveals that Quirinius was governor of Syria when Jesus was born. Quirinius was governor of Syria the first time from 6 BC to 4 BC. After the Chinese had tracked the movements of the comet, the Magi would have been able to see it, too, since it began its journey "in the east," just as Matthew said. This one obvious astronomical object, and the only one, fits with the account of the star of Bethlehem that Matthew 2:9 records—a comet with a long tail. Comets are known to appear suddenly and to seem to travel slowly across the night sky at a typical rate of 1-2 degrees per day. Matthew says that the star "stood over" the place where the baby Jesus lay. A long-tail comet with its head pointing downward can seem to point to a place on earth. This would dramatically fit with the description in Matthew of the star. The Magi would have arrived several weeks after the birth of Jesus—at the house where the holy family then resided (Matthew 2:11). Several cities and villages in Persia (today’s Iraq and Iran) claim that the wise men came from there. We don’t know exactly where they were from or even how many of them there were. Could those eastern wise men have known of Balaam’s fourth oracle back in Numbers 24? 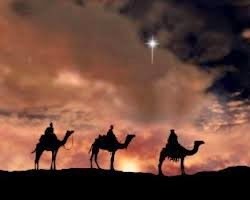 He predicted that “…a star will rise out of Jacob; a ruler’s scepter will rise from Israel.” Perhaps when Balaam returned to the Middle East, that story was spread, and the Magi may have heard of it. Tradition has given these Magi special names and even numbered them as three, since there were three gifts—gold, frankincense and myrrh. They have been called “three kings,” but there is no evidence for this. Also interesting is the fact that these gifts were unique. Gold is from the earth; frankincense is of the heavens, a symbol of prayer in the Bible. And myrrh is for the burial of the body, used in ancient times in Egypt and learned of by the Jews. Jesus was like these gifts—from heaven, from earth and would be buried, briefly. Joseph was warned in a dream to leave Bethlehem and go to Egypt to escape the slaughter of the innocents. The three gifts are how the holy family was able to survive economically in an Egyptian city among other Jews. Then at the death of Herod the Great in 4 BC, the holy family returned to Israel, but being warned in a fourth dream, Joseph removed the family to Nazareth of Galilee. And so Jesus would be called a Nazarene. Either way, Jesus’ birth was actually in 5 BC, making our calendar, which was invented later on, inaccurate. This New Year would actually be 2018, rather than 2013, if it were based in the birth of Jesus the Messiah. 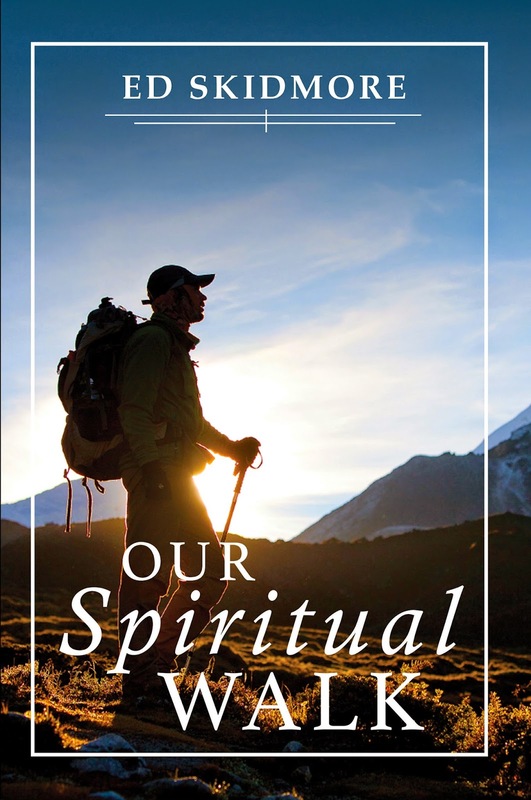 Our Spiritual Walk is now available in several e-book formats on Smashwords.com for $1.99 per copy. Soon, Smashwords will distribute the e-book versions to several other e-book distributors including Amazon, Nook, Kobo, Kindle, and others. Smashwords also provides a trial copy of the book so that interested readers can download a portion of the book at no cost. Here is the link to Smashwords. 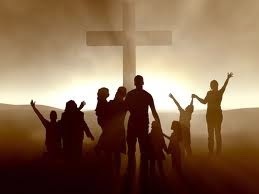 Romans 14:17-18 states, "For the kingdom of God is not a matter of eating and drinking, but of righteousness, peace and joy in the Holy Spirit, because anyone who serves Christ in this way is pleasing God and approved by men." When the Apostle Paul wrote those words he was teaching about disputes between stronger and weaker brothers in the faith concerning the eating of meat that had been offered to idols. Verse 17 is a general axiom about the nature of the kingdom of God. Though some wanted to focus on disputes over what to eat and drink, Paul said the focus of God's kingdom is righteousness, peace, and joy in the Holy Spirit. So, what's so important about these three aspects of the kingdom? Righteousness: The kingdom of God is a righteous kingdom because God himself is righteous (Romans 1:17). It is also true that God demands righteousness of those who stand before Him (Psalm 1:5-6). But the best news is that God provided that needed righteousness in the finished work of Christ on the cross (1 Peter 3:8). Furthermore, God preaches righteousness in the gospel message (2 Corinthians 5:20), and He bestows righteousness on those who trust in Christ for salvation (Romans 3:22, 5:17). Not only is righteousness a central quality in the Kingdom of God, but it is also conspicuous in its absence from any other kingdom other than God's kingdom. Those who observe the kingdom of God can't help but notice the profound difference between what is godly and what is worldly. It is because of Christ, that our inheritance of righteousness becomes real in our daily lives, both now and for eternity. Peace: This quality is related to righteousness in that one naturally follows after the other. The peace Paul wrote about was much like the kind of peace attached to the Hebrew word "shalom". This is not just an absence of strife, but it also includes the perfect well-being that comes from being reconciled to God. Because we dwell in a kingdom of righteousness, and because we have been declared righteous ourselves, we are able to be at peace with God and our fellow believers. Peace encompasses both a God-ward and a man-ward dimension that creates great blessing within the church. Joy in the Holy Spirit: Once again, there is a naturally sequential relationship between righteousness, peace, and joy. The first two qualities are such delightful characteristics that they cannot help but result in joy. But notice that this is not just any kind of joy nor is it the same thing as common happiness. Joy in the Holy Spirit is not produced in the world, nor can it be received by the world in normal physical ways. This kind of joy is not related to circumstance. It is, however, a natural fruit of the Holy Spirit's presence. These three qualities are not created by human effort. Furthermore, these fine qualities are unselfish in nature. They are not individualistic, but rather interdependent, and especially so since the kingdom of God is the domain of the church. Jesus didn't die on the cross solely for the sake of individual sinners. He gave himself as a sacrifice for the church, to bring her to himself as a bride without spot or wrinkle (Ephesians 5:25-27) Therefore, the kingdom qualities we have just addressed are the same qualities God intends for the world to find dwelling in the life of the Church, not just in the heavenly hereafter, but in the here and now. 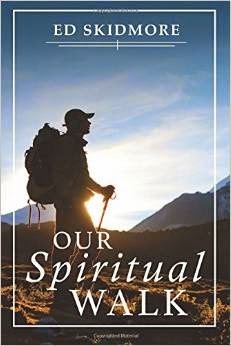 My new book Our Spiritual Walk is now officially for sale on Amazon.com Here is the link. I just posted a new devotional video to YouTube. It is Called "Karma?" 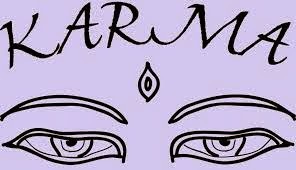 and compares the Hindu teaching of karma with the Biblical teaching on God's grace. Take a look! Here is the link. Colossians 1:10, That you might walk worthy of the Lord unto all pleasing, being fruitful in every good work, and increasing in the knowledge of God (KJV). When the Apostle Paul wrote these words to the Christians in Colossae he was addressing the need to live out faithfully what the believer knows about his relationship with God. An evangelist told the assembled conference audience, "You're all educated way beyond your level of obedience." We must see to it that our going forth matches with what we claim to know. 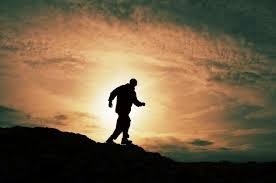 The truth is that no other endeavor can eclipse the weightiness of our worthy walk. This is what we are here for. So what does it look like to walk worthy of the Lord? Pleasing: The Greeks of Paul's time considered it demeaning for a slave to fawn over his master, seeking to fulfil every wish and command. But it was Paul's teaching that elevated the obedience of a servant from slavish buttering-up of the master to sincere concern for the master's will and purpose. We grow in our knowledge of what pleases the Lord and develop the ability to know instinctively what to do in his behalf without having to be told before we act. Fruit-bearing: It is no surprise that the worthy walk requires work. But Paul characterized our work as bearing fruit. It was at the last supper that Jesus described himself as the vine and his men as branches. He also told them that if they would abide in him, they would bear fruit. Their part was the abiding; His part was the fruit production. He went on to say that apart from him they could do nothing. This is not a matter of human effort to generate fruit, but of connection to the source from which fruit will naturally burst forth. Though we can't produce lasting fruit on our own, we can't help but bear fruit while abiding in Christ. Increasing: The metaphor of vines, branches, and fruit bearing also implies another observable aspect of plants: living plants grow. It never ceases to amaze me how the right kind of plant food brings surprising growth in a short period of time. In a very similar way, receiving nourishment from the true vine always results in spiritual growth. It is our growth that is our primary objective. We are to increase in our knowledge of God so that we grow from unstable infancy to stable maturity. The worthy walk has this goal in mind. With all this in mind, how do we apply ourselves to the daily objective of the worthy walk? The first suggestion is to take a fresh look at all that God has called us to in our connection to Christ (Phil. 3:14). We have a high calling that gives us motivation to live up to what we claim to believe. We must avoid the danger of being educated beyond our level of obedience. Finally, we can certainly ask God to help us abide in Christ every moment of every day. Is your daily walk worthy and pleasing to the Lord who called you and equipped you to serve him and bear fruit in every good work? This article is a portion of a chapter in my new book Our Spiritual Walk which will be available from Shipmate Press later this month. I was reading an article by Bill Johnson in Spiritual Java (Chapter 4) which dealt with Jesus asleep in the boat during a storm (Mark 4:35-41). Near the end of the chapter, Bill mentioned that there were tools available in the boat to help Jesus' disciples deal with the storm. Well, that was certainly a new concept to me. 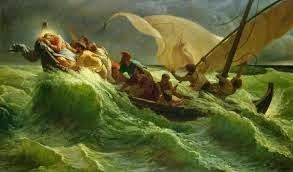 I was aware that Jesus himself was in the boat, and in the end, he was the tool they used to deal with the storm. They called out to him and woke him from his sleep so that he could speak to the storm and calm it. But were other tools available to these men within the boat? Knowing that this was a fishing boat, and that at least four of the men were fishermen by trade, I'm confident there were plenty of tools aboard for the contingencies that often accompany fishing excursions. Perhaps they had something like a bucket that could be used to bail out water which was beginning to fill the bottom of the boat during the storm. There was a tool that could be used to deal with at least one effect of the storm. No doubt there were ropes that could be used to tie down equipment and secure the sails so that the wind would not blow the boat as much. But along with the normal fishing tools in the boat, what other tools might have been available. The conversation between Jesus and his men in this account gives us a clue as to other tools they could have used. Waking Jesus from a sound sleep, the men said to him, "Teacher, do you not care that we are perishing?" Now, is it just me, or does that sound rude to you? In my 42 year ministry I've had times when people have made similar statements to me. What the disciples were doing was questioning Jesus' motives. Are you so oblivious to our need that you will ignore it and prove your lack of concern for us? How could Jesus possibly sleep through such a tempest? Well, for one thing he had just finished an extremely busy day and was exhausted from extended ministry. For another thing, Jesus had no reason to fear because he knew the power that was available whenever it might be needed. At that moment, what Jesus knew was evidently not shared by his fretful men. When Jesus rebuked the storm and calmed the waves with these words, "Peace, be still," his next words to his men were, "Why are you so fearful? How is it that you have no faith?" Those words reveal to us another tool that was within the boat that night. The prayer of faith was a tool Jesus' men could have used had they been aware of it. What Jesus did to the storm was not beyond the realm of possibility for his men. After all, on another occasion, Peter successfully exited the boat and walked on water... at least for a little while. 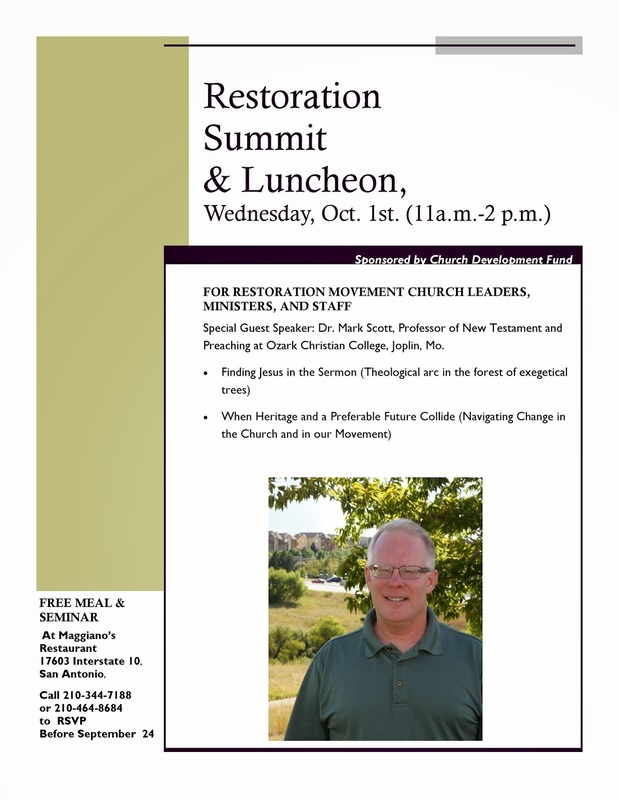 Did the disciples have the tools to calm the storm? Well, the answer is yes...and yes. Jesus was there, and he was the tool they ended up using, but another tool could have been used without needing to awaken Jesus from a much needed sleep. In the same way that Jesus later told his men they could rebuke mountains and make them move, they also had what was needed to calm the storm, but lacked the faith to say what needed to be said. When Jesus rebuked his men for lack of faith, their response was exceeding fear and this odd statement, "Who can this be, that even the wind and sea obey Him!" Once again, these guys amaze me! First they are rude when waking up their teacher, then they claim to not even know who is with them in the boat! On another later occasion Peter will confess that Jesus is the Messiah, the Son of God. Sadly, it looks like on this occasion everyone is oblivious to much of what and who Jesus really is. They seemed to know that waking Jesus was a step in the right direction, but they bypassed other things they might have done on the way to this ultimate step. The lesson for us to learn from this account is that we also have tools available to us for dealing with our own storms. Sometimes God will allow winds and waves to come our way for the purpose of shaping us into more mature citizens of His kingdom. His desire is not to sit idly by and watch us be swamped, but to see us use the tools available to us for overcoming what ever storms we may face. We have tools like the Word and prayer augmented by belief to use at just the right times. Are you facing a tempest? Look around and see what tools are available in your boat. Use them in faith toward God and see what happens to your personal storms. Don't accuse Jesus of not caring about your situation. Don't plead and beg as though you serve a selfish and easily peeved deity. Instead, speak bold words of confidence in God's power and see what comes to pass around you. Do you know who is with you in the boat? Do you know all that He can do? Do you understand anything about what he is preparing you to do? Use the tools you have, and deal with the storms you face. I remember reading an article about a woman who blamed the criminal justice system for her son's bad behavior. More specifically, she blamed a local judge and probation officer for not being tough enough on her son to make him tow the line. While I confess to not being in the know about all the hidden details of this story, and while I support judges and probation officers being firm with juvenile offenders, I can't help but wonder when this mother gave up practical custody of her son. The point here is that police departments, judges, and probation officers make a poor substitute for loving discipline administered in the home. 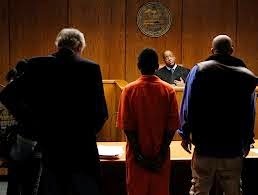 The only thing the criminal justice system is equipped to handle is criminal behavior, and a loving parent might naturally hope to keep their little darling away from such activity thereby steering them clear of that kind of jurisdiction. Another group that often gets blamed when things go wrong with youngsters is public school teachers who are no better equipped to handle discipline matters than police departments and court systems. Since my wife is a counselor in a middle school, I have it on good authority that the average teacher in her school is saddled with around 150 students to teach per day. So where does quality one-on-one time fit in with that kind of student-to-teacher ratio? Anyone who willingly turns their own offspring over to the care of a judge and probation officer has abdicated their parenting role. In essence, they have placed their child under a curse. Again, I ask, "Who's the parent here...really?" On my daily walk today I found a penny. No big deal you say? Well, I found a penny yesterday, and a nickel the day before. I've found pens, pliers, screwdrivers, and once I even found two twenty dollar bills about a foot apart on the middle of the street. So what's my point? I find stuff like this because I have trained myself to look for them while I take my exercise walk. Finding little treasures is a bonus added to the health advantage of a 40 minute walk. I'm discovering that finding little serendipitous discoveries is matter of training ourselves to look for them, and training our expectations to line up with our expanded vision. With the finding of little treasures I seem to have a new knack for finding more of them. This makes my walk more fun and turns a calorie burn into an adventure. What I'm talking about here is in line with what Jesus taught about asking, seeking, and knocking on doors (Matthew 7:7). The implication of that teaching is that increased levels of asking, seeking, and knocking leads to increased receiving, finding, and opening doors. The finding of little treasures has improved my ability to spot them while on my walk. I'm improving in my seeking endeavors. What positive things are you willing to seek for today? Perhaps God will grant a discovery in line with your expectation. 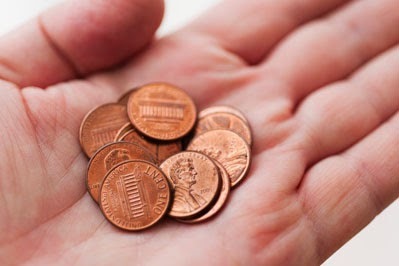 The next time you take a walk why not be on the lookout for a penny. You might find it or some other little treasure if you will just watch for it. 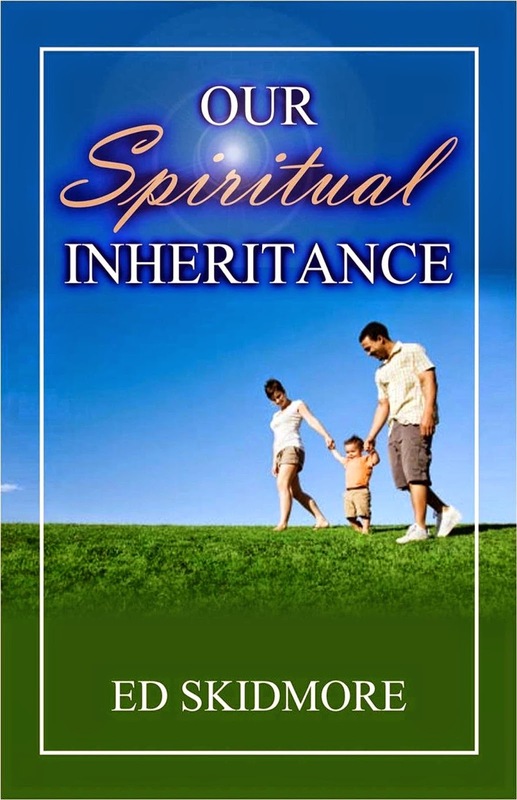 Yesterday I lowered the price of my book Our Spiritual Inheritance on Smashwords.com from $5.99 to $1.99. I also initiated a 50% off coupon that can be used on Smashwords.com at the checkout to further reduce the price to $.99 from now through September 30, 2014. The coupon code is VD45M. Smashwords.com provides several formats including EPUB, MOBY, PDF etc. and also distributes to other sites like Barnes & Noble, Amazon, Apple, Kobo, and other sites. Although e-book versions of my book are available on many sites, the best prices are likely to be found on Smashwords.com Take a look! A few years back, I composed my own epigram about maturity. This is what I wrote: "Maturity is when you finally come to realize that you cannot rattle the world, and the world no longer rattles you." I can't remember the set of circumstances from which this epigram arose, but I often see evidence of the truthfulness of it. I can remember my younger days, when I had visions that were world sized in scope. One of my dreams sent me to China (in my mind) to reshape everything there. Then, in 1970 the world traveling opportunities began. First, it was to Mexico, then to Australia and New Zealand. Five years later, to India, then Kenya and Russia, and repeated returns to India.